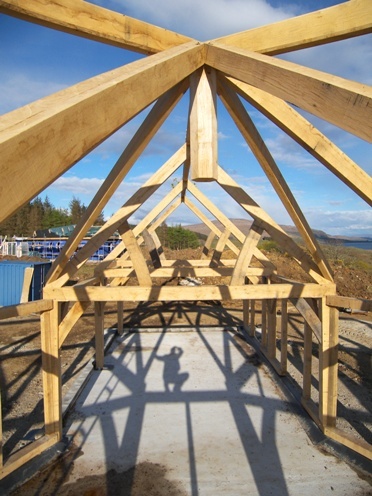 VOLPE: One third of a three winged house near Lochaline overlooking the Sound of Mull. 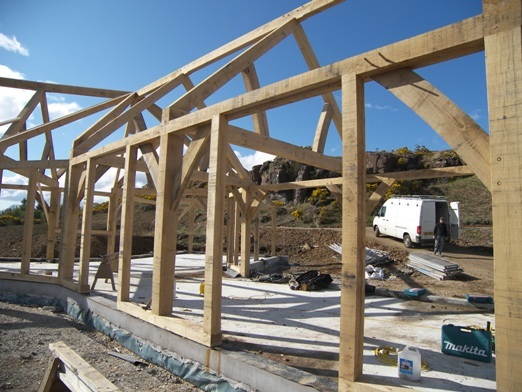 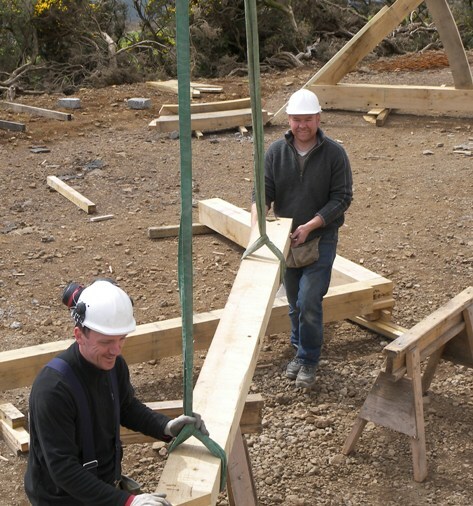 On this job I and a Carpenter Oak team in Devon shared the carpentry which took place in our two separate workshops, and despite the difficulties associated with a Y shaped building with faceted valleys, it all fitted correctly when we put it up on site! 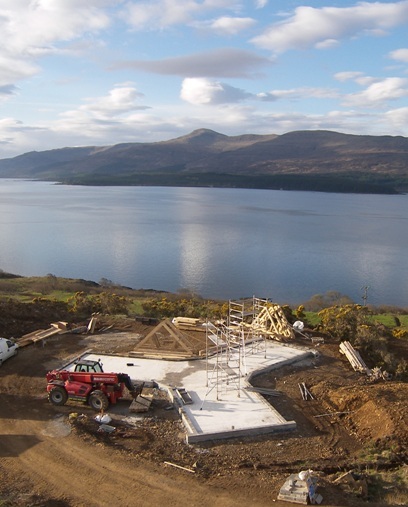 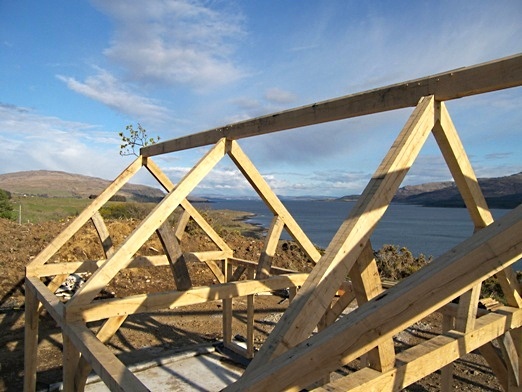 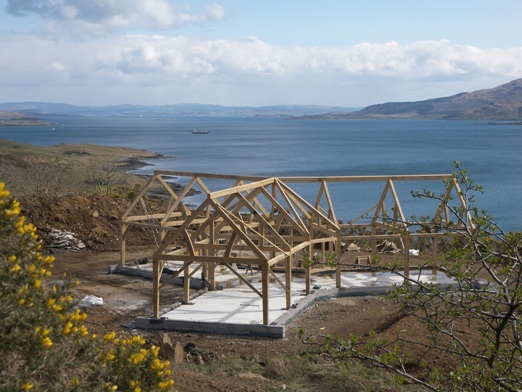 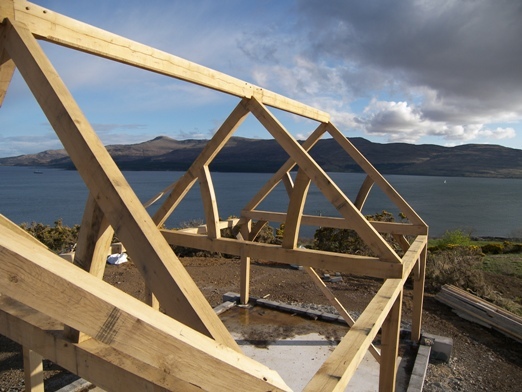 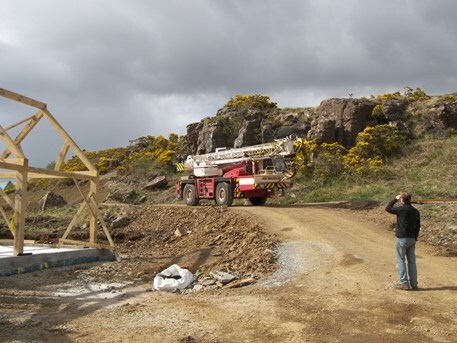 This project was brought to me by Carpenter Oak Ltd. who, I am very proud to say, have asked me to undertake the carpentry and erection of their Scottish frames, working to their specifications and design.